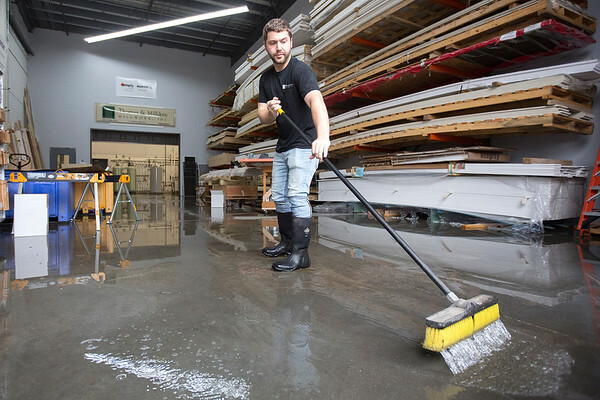 Brad Solak sweeps flood water out of the door to Thomas and Milliken Millwork in Traverse City on Tuesday. "I'm not sure this is even helping," he said. Heavy rain and drainage issues led to flooding in the business on Cass Road.